Yellowknife city council is weighing the benefits of a Northern university or post-secondary institution. It was up for discussion at Monday's Municipal Services Committee meeting. Councillor Julian Morse initially brought the idea to council. He said not having a university is a missed opportunity for the city. "It would bring residents into the community, it would bring jobs into the community," Morse said. He pointed to Yukon College as an example. Eleven per cent of its student body are international students, according to the college's student survey results for 2017-2018. "They're bringing in residents that wouldn't otherwise be in Whitehorse and that's what we're looking to do in Yellowknife," said Morse. "We're looking to bring people here that wouldn't otherwise come here." Specifically, council is looking at creating a committee that would discuss the benefits a university or post-secondary institution would bring to Yellowknife. Morse said there could be economic benefits by bringing in more jobs and residents, along with creating more development opportunities in the city, and more opportunities for research to be done out of the university. The terms of reference for the committee says it would consist of the mayor and one member of city council, along with representatives from the territorial government, representatives from academic independent research organizations like the University of Alberta, Indigenous leaders, and anyone else who could add insight. 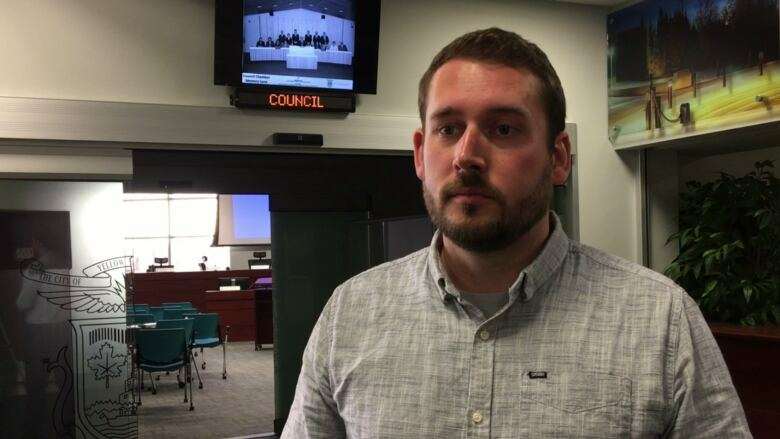 Councillors suggested also consulting recent graduates from Aurora College, financial analysts and members of the Yellowknife Chamber of Commerce. Committee members would be appointed by city council, and they would be voluntary positions. If the committee is created, it would pass its work on to city administration, who in turn would consider its advice before seeking out a consultant. That consultant would pen a study to determine how feasible and beneficial a university or post-secondary institution would be in Yellowknife. Morse hopes the study will advise council on how the city would be involved, if at all, in creating a post-secondary institution; be it with the help of the territorial government, or looking at ways to establish a private institution. The City's 2018 budget set aside $50,000 for this study. City council will vote on whether to create the committee at the next city council meeting in two weeks.